Paradise Valley is one of the premier locations to call home in the entire Phoenix metro area, and with that comes lots of different options, especially when it comes to the luxury segment of the market. 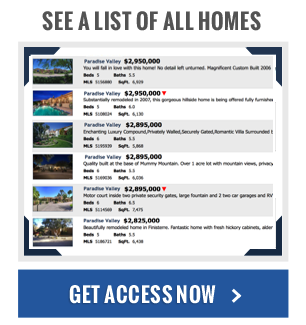 Most Paradise Valley homes for sale offer more than enough living space, exquisite interior and exterior finishes, incredible views of the desert landscape, and lush backyards that boasts pools, all kinds of privacy, and enough entertaining space to have one heck of a party. But every now and then, a Paradise Valley property will hit the market that not only offers the desirable features mentioned above, but also some great water views that aren't always easy to come by here in the heart of southern Arizona. Unlike Scottsdale, you won't find an abundance of lake subdivisions in the Paradise Valley area, which makes waterfront homes for sale around town that much more sought after among high-end home buyers. The Shores and Mountain Shadows are two of Paradise Valley's most well-known lake subdivisions and have a wide range of options when it comes to available home. The Shores is known for its affordable lakefront townhomes, while Mountain Shadows has more of an upscale feel to it, with lake homes here often exceeding $1 million. 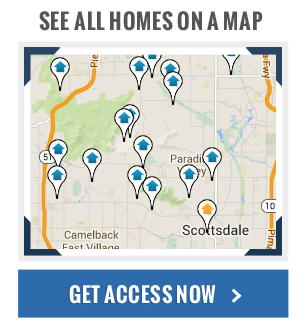 If you're interested in Paradise Valley lake homes for sale, or would like to know more about any of the lake subdivisions in the area, contact local real estate pro Jennifer Wilson today at (602) 696-0379 and schedule a private showing for an available Paradise Valley lake property today!